A number of supporters and opponents turned out to give public comment on the proposed ordinance. 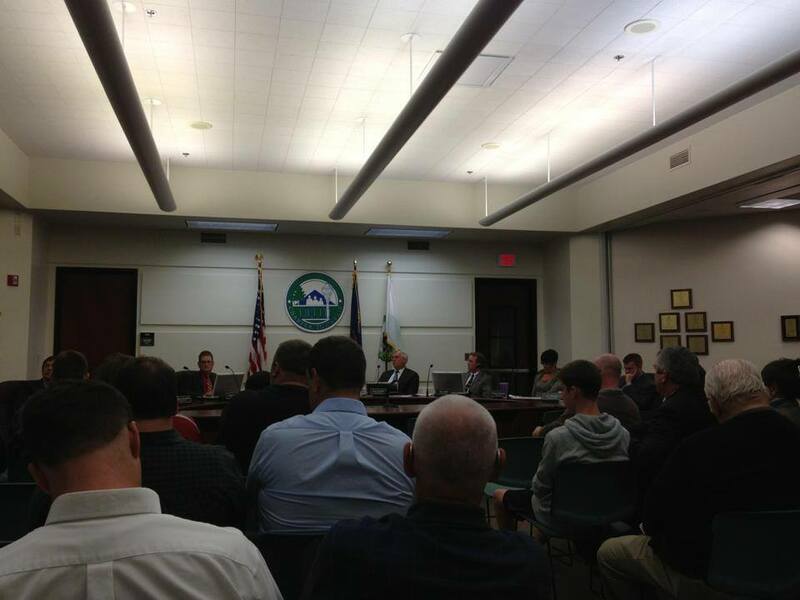 Last night, the Delhi Township Board voted unanimously to proceed with a non-discrimination ordinance. Unlike previous meetings, there were a lot of people in the room to deliver public comment on the issue of non-discrimination protections. During public comment, Holt Baptist Church Pastor Fred Froman read a brief collective statement from a coalition of pastors from within Delhi Township. This group believes that the non-discrimination ordinance is unnecessary and will be used for intrusive investigations and unnecessary litigation. A church elder and former Delhi Township Trustee, Paul Krepps, also spoke in opposition to the ordinance. Kara Hope, another Delhi Township resident and an Ingham County Commissioner spoke in favor of the ordinance and clarified that the ordinance prohibited only discriminatory acts, not beliefs or thoughts. This clarification was reiterated by the Township Attorney. It is worth noting that, similar to other non-discrimination ordinances, the Delhi Charter Township ordinance includes an exemption for religious organizations. Notwithstanding anything contained in this Chapter, the following practices shall not be violations of this Chapter. An example of this exception in action: A church is hiring a nursery director to supervise the younger children during Sunday services. The church may require that applicants believe in God. Similarly, it means that a pastor may refuse a couple seeking to get married in the church if they do not follow the tenets of that faith. There were several more people who spoke both in favor of and in opposition to the ordinance prior to the Board’s discussion. Following public comment, Supervisor C.J. Davis spoke passionately about why he supports the non-discrimination ordinance and why it’s needed in Delhi Township. Trustees Hayhoe and Harmon also spoke in favor of the ordinance before the vote. Every single Board member voted in support of the ordinance. The Board will meet again on Tuesday, October 1. There will be a public hearing on the non-discrimination ordinance. Although the Board is firmly in support of this legislation, it is clear that there are groups who are opposed to this ordinance and will stop at nothing to ensure that it is not passed. Please take the time to thank the Delhi Township Board of Trustees for their action last night and urge them to continue their support of this ordinance! CLICK HERE TO SAY THANK YOU! This entry was posted in Delhi Township. Bookmark the permalink.